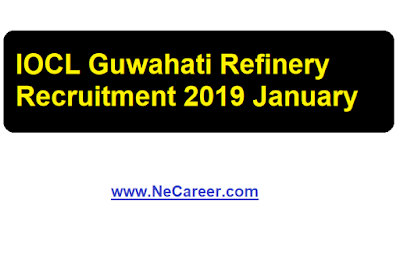 IOCL Guwahati Refinery Recruitment 2019 January :- We welcome everyone at North East India's No. 1 Job Portal www.NeCareer.com . 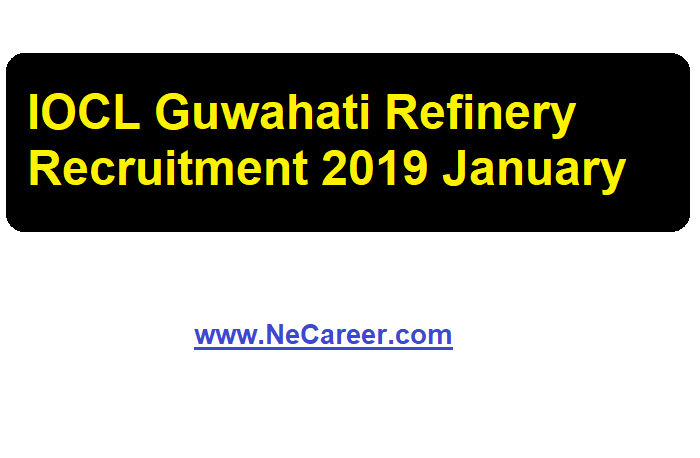 Indian Oil Corporation Limited Guwahati Refinery has published a job notification in January 2019. According to the latest IOCL recruitment , applications are invited from candidates who have successfully completed their Apprenticeship Training from Guwahati Refinery in the relevant trade/discipline under Apprentices Act, 1961/Apprentices (Amendment) Act 1973 for the following posts in the non-executive cadre in Grade IV in the pay scale of Rs 11900-32000/-(Pre-revised). We have mentioned the detailed vacancy in below section. Educational Qualification: Candidates must have 3 years Diploma in Chemical/ Refinery & Petrochemical Engg. or B.Sc. (Maths, Physics, Chemistry or Industrial Chemistry) from a recognized Institute/ University with minimum of 50% marks in aggregate for General, OBC candidates & 45% in case of SC, ST candidates against reserved positions. Educational Qualification: Candidates must have 3 years Diploma in Mechanical Engineering from recognized Institute/ University with minimum of 50% marks in aggregate or Matric with ITI in Fitter Trade with Pass class. Age Limit: Minimum 18 years and Maximum age shall be 26 years for candidates against unreserved posts. Relaxation in age upto 5 years for SC/ST and 3 years for OBC candidates considered against reserved positions will be allowed. Candidates belonging to PwBD categories shall be given age relaxation upto 10 years (upto 15 years for SC/ST and upto 13 years for OBC (Non-Creamy Layer) candidates). Selection Process: The selection methodology will comprise Written Test and a Skill/Proficiency/Physical Test which will be of qualifying nature. Venue: Old Conference Hall, Admin. Building, Guwahati Refinery, Noonmati, Assam. Candidates are required to submit filled –in application form in the prescribed format at the time of reporting on 04.02.2019.